If you have been in an auto accident, you should consider contacting our office to evaluate any trauma that may have occurred. We specialize in treating a wide range of auto accident injuries including whiplash, a common auto injury. 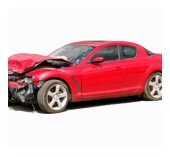 It is easy to sustain neck trauma when one car collides into the rear-end of another. The passenger in the front automobile has their neck jerked back quickly, resulting in an injury we know as whiplash. Whiplash can include strained muscles and/or ligaments as well as spinal joint injuries. This kind of neck injury is often associated with tension type headaches and head pain as a result of cervical dysfunction. Other symptoms of whiplash include: nausea, arm and shoulder pain, and tingling in the hands and fingers. As with any injury, it is important to get an evaluation shortly afterward to rule out any serious injury. In most whiplash cases, injuries are surface ones to the tissue and ligaments. If you think you may suffer from a whiplash injury, please contact our office to schedule an appointment with Dr. Drazic today. Proper management is critical to the recovery from whiplash injuries and to prevent future damage. If you live in or around Tecumseh, we will gladly answer any of your questions and provide you with the best treatment options available to you.